Sometimes, a little retail therapy is all you need! I was having one of those weeks where everything was stressful and everything seemed to be going wrong. Then today, I woke up and the sun was shining, the weather was amazing, and everything seemed to get better from there! I have a semi-formal event that I am attending this weekend, so I thought I would take a look at TJ Maxx for some shoes before class this afternoon. I didn’t find any shoes, but I DID find something better! 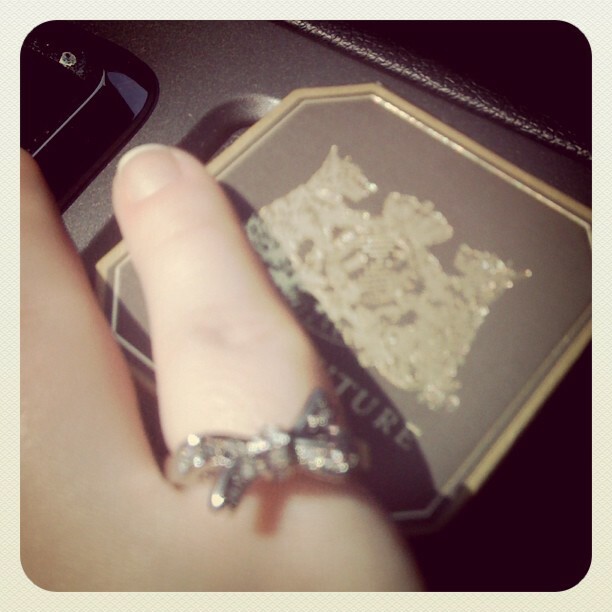 I have been wanting a ring with a bow on it for probably about 2 years now. I found one that I really liked, but it turned out to be much more expensive than I wanted to (or could) spend. It was around $300, which was just not what I was looking for. Granted, it was white gold and diamond, so it was worth the money. But alas, a full time student just can’t have everything. So I have searched, sometimes actively, sometimes more passively, since then for just the perfect one. 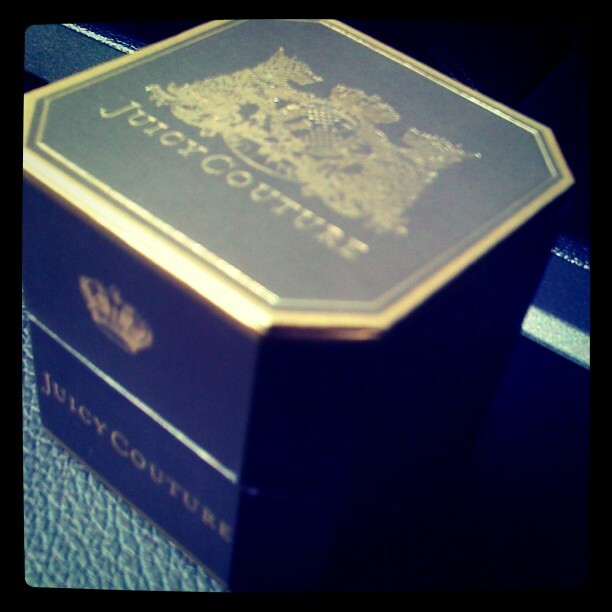 A few months ago, I saw a Juicy Couture one on Pinterest that I basically fell in love with. After stalking it only to find that it was no longer in stock or available, I was so disappointed. Today, when I walked into TJ Maxx, I had no idea that it would be waiting for me in the jewelry case! I was absolutely thrilled to have found it so unexpectedly. 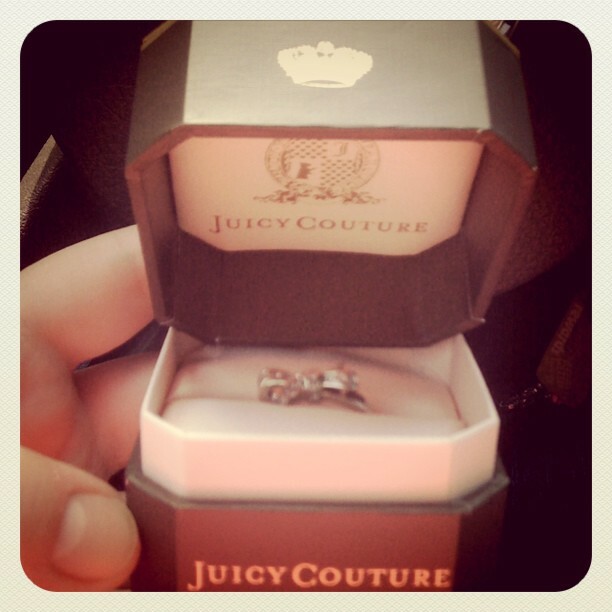 I asked the salesperson to try it on, and although it was a bit snug for my ring finger, it fit my pinky perfectly! So… I asked how much it was, and, can you believe it??? It was only $19.99!!! My day was officially made! So, without further ado, please allow me to introduce you to my new favorite thing! Even the box is pretty! As it turns out, the Juicy Couture Wishes Pave Ring can be found online in a couple of locations, though it seems to currently be out of stock where I’ve seen it. If you’re interested, you can find more information (and a clearer photo!) here. Have you recently participated in some retail therapy and made a purchase that you are totally happy with? Please feel free to share in the comments!